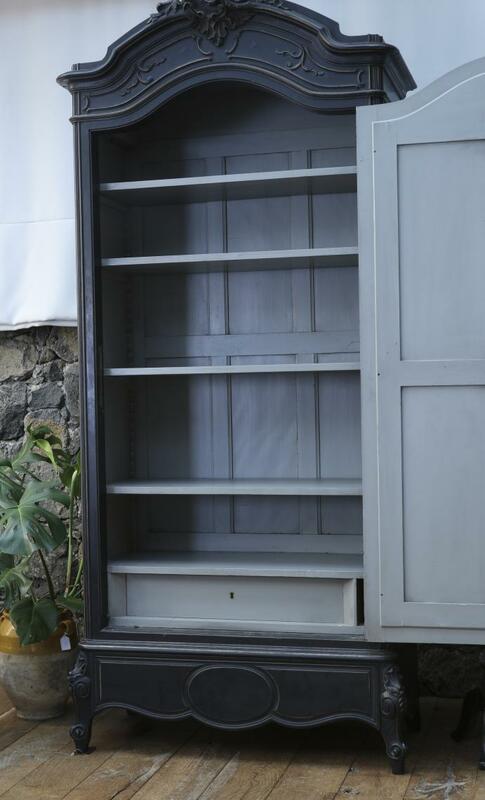 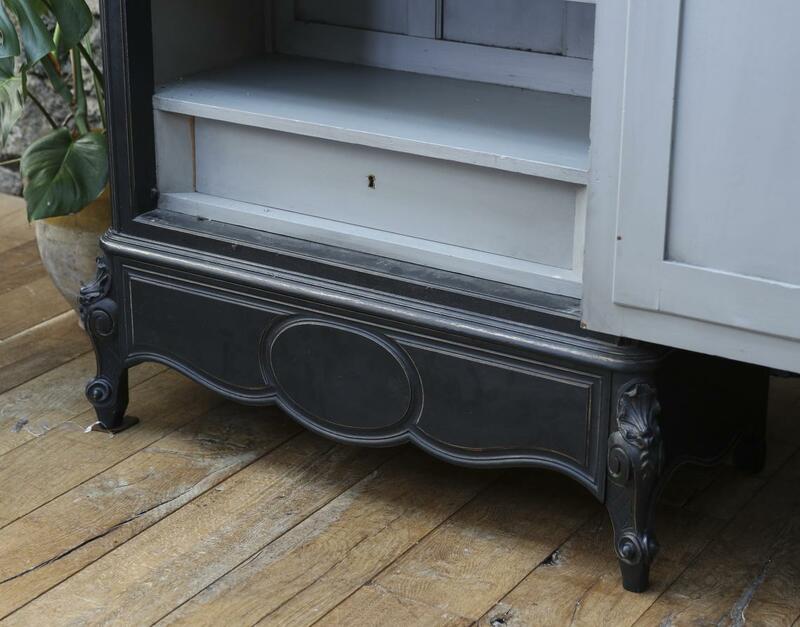 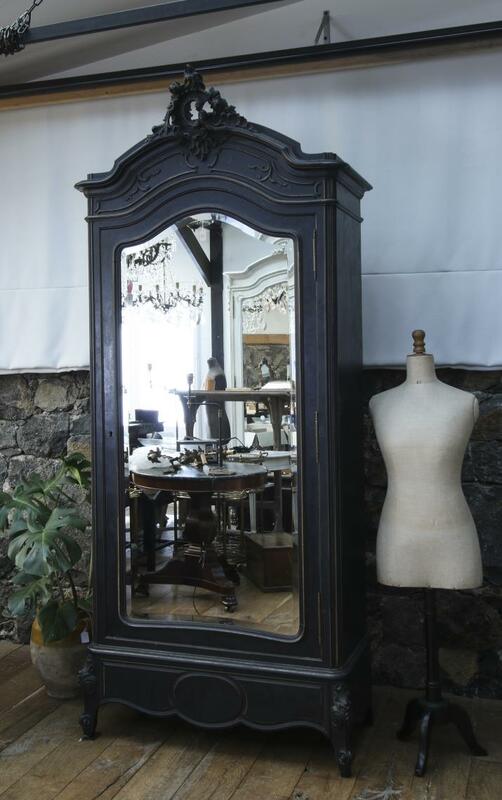 A one door armoire or bonnetiere, with a black distressed finish. 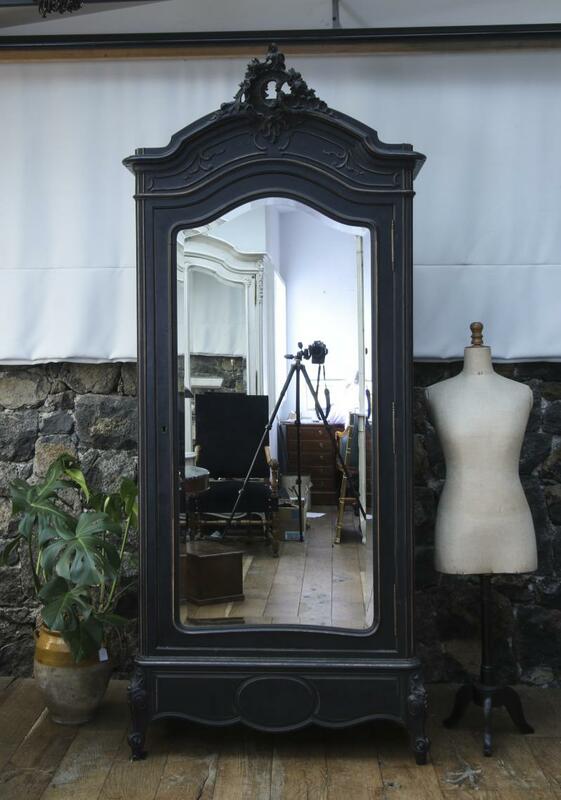 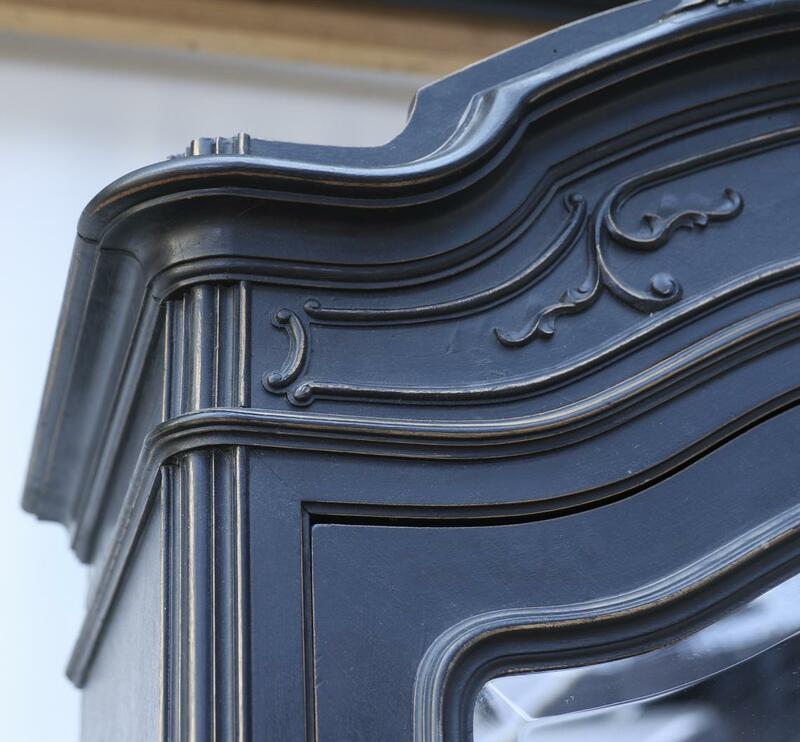 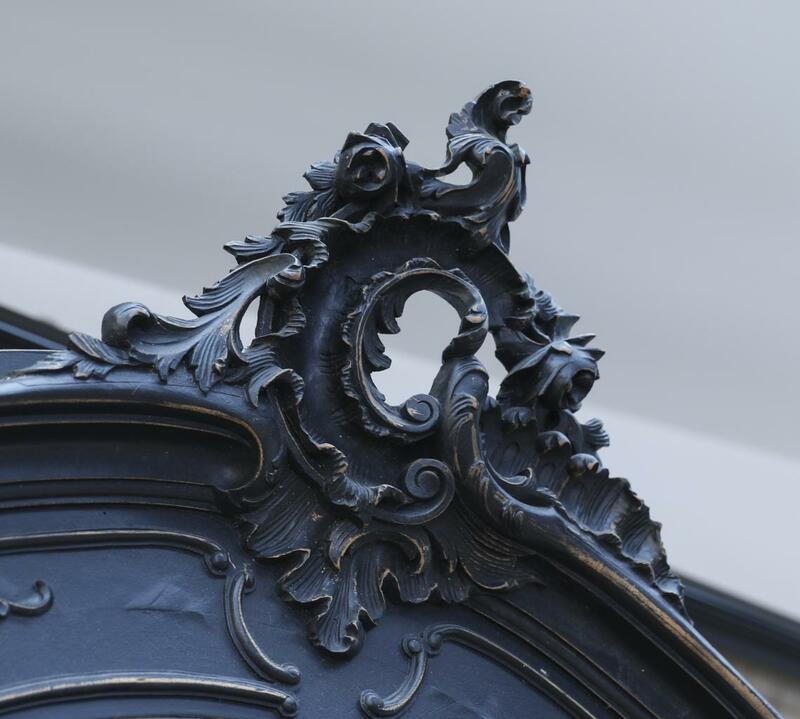 The armoire has a Rococo-carved top, a shaped and bevelled mirror, and excellent contour and proportion. 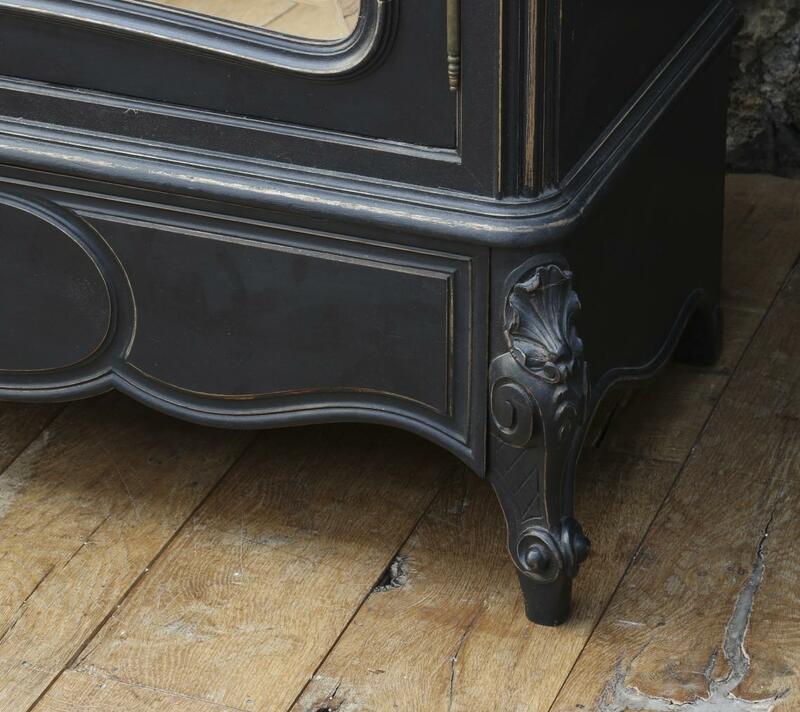 If you are interested in this piece or would like more details please call us on +64 9 529 1660 or email info@js.co.nz quoting #108-66.